Portree is a Scottish town by the seaside, and one of the things that tourists want to visit the most just so happens to be a post office…even when they don’t have any mail to post! 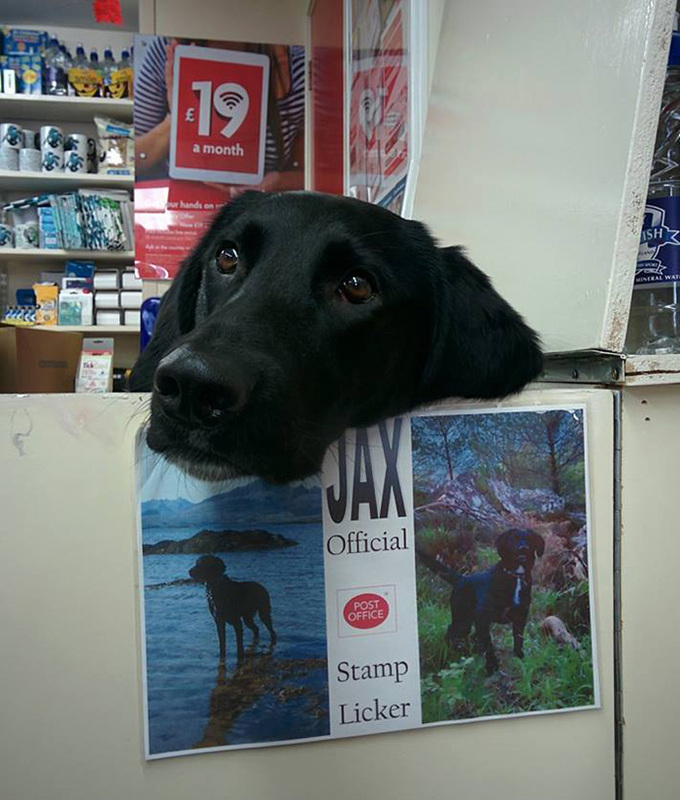 Ray Chandler has been the Postmaster at the location for a few years now, but after working for a while, decided that the office needed an additional employee: a stamp-licker. He had the perfect candidate in mind! The family dog, Jax, was energetic and loves people, but staying at home all day while his human was out at work was too much for the pooch to handle. He started going to work with Chandler after his morning walks and they discovered that he was always excited when stamps needed to be licked. Locals fell in love with the outgoing dog! Even when they don’t have any stamps that need licking, they stop by to drop off treats or just to give the happy dog a quick scratch behind the ears. He loves to talk strolls through town and adores it when tourists stop by to see the famous four-legged post office employee!